training › Buy Poster of Muscular man exercising with kettlebell in gym. Weightlifting training. sports, fitness concept. 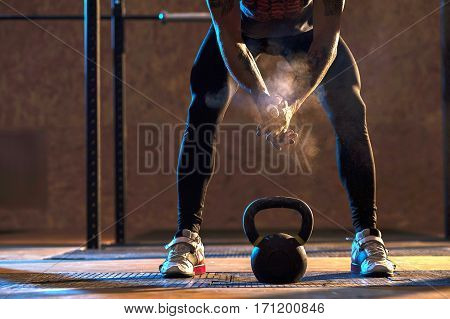 Poster of Muscular man exercising with kettlebell in gym. Weightlifting training. sports, fitness concept.